For most ocamlbuild lines, a newline is printed after the output, as is normal for UNIX tools. Notice one letter of my prompt cutting into the output. Regardless of how wide I make the letter it's always one letter. The user "whitequark" on the ocaml IRC reports seeing the same behavior, in Debian, in Konsole. 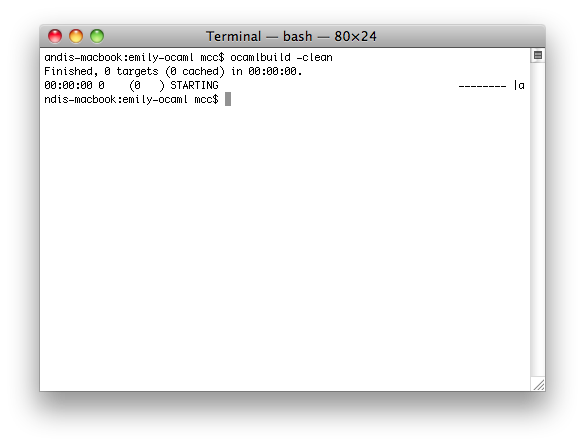 PS: I saw this in the standard OS X "Terminal" app. Fixed in 4.02 branch (rev 15973).